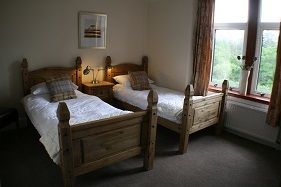 New for 2014 , Auld Manse Bed & Breakfast is located in the small village of Dulnain Bridge in the Cairngorm National Park. 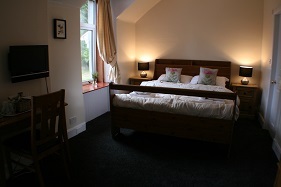 The house was built in 1901 and has two letting bedrooms which have been newly renovated and furnished to a high standard. Both have en-suite shower rooms. 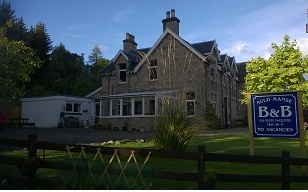 Our accommodation is ideally located for exploring the Spey Valley and Cairngorm Mountains, or as a stop off on a longer journey. There are a wide range of activities for you participate in the area, from seeing the ospreys or skiing in the winter. The Cairngorms National Park has something for everybody. We offer you a comfortable nights rest and followed by a breakfast of your choice.